Besides the stunning Atlantic coastline and beaches, picturesque towns and cities filled with history, and some of the best weather in Europe, Portugal has a rich food culture that cannot leave anyone indifferent. If you’re a food lover, Portugal is a unique kind of paradise of seafood, cheeses, olive oil, wine, and pastries waiting to be savoured. Check out our recommendations for the best Portuguese dishes and don’t forget to add them to your bucket list. Bacalhau is the Portuguese equivalent of codfish, and it is the country’s primary culinary obsession with over 1,000 different recipes. Although this traditional dish comes in so many versions, there are some more popular than others. Bacalhau à Brás is roasted or grilled cod with potato chips fried with onion, olives, parsley, and boiled eggs. Bacalhau à Lagareiro is cod with potatoes and red bell peppers. Bacalhau à Gomes de Sá is grilled cod with potatoes, onions, boiled eggs, and olives. Francesinha is the signature dish of Porto, Portugal’s second largest city. The dish is a sandwich with layers of steak, ham, sausage, and chorizo between two thick slices of bread, spiced with a special type of tomato sauce or beer sauce and topped with melted cheese. 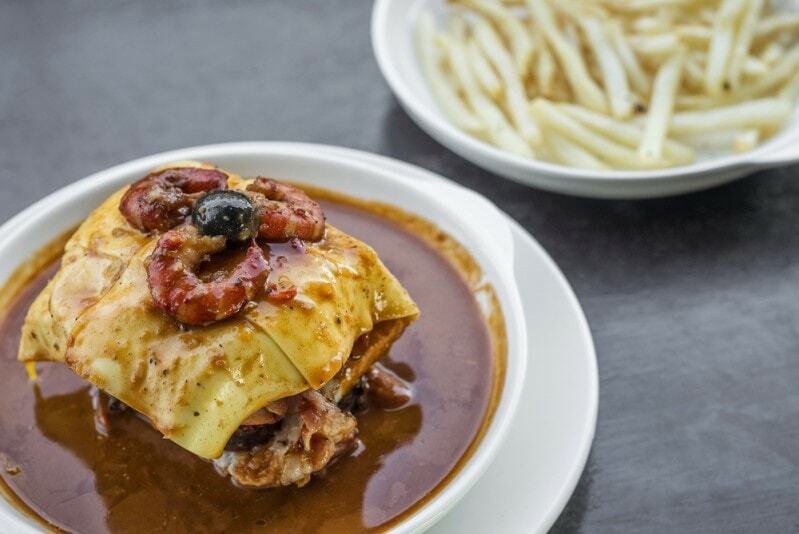 Served with chips, francesinha is a unique combination of meats, and the result is particularly delicious. Some recipes also include seafood among the ingredients. Peixe Grelhado is grilled fish done in typical Portuguese style. This is one of the most beloved dishes by Portuguese, who due to the geographical position of their country, can enjoy fresh fish in almost every region. Drizzled with olive oil and salt, the fish retains its specific flavours. 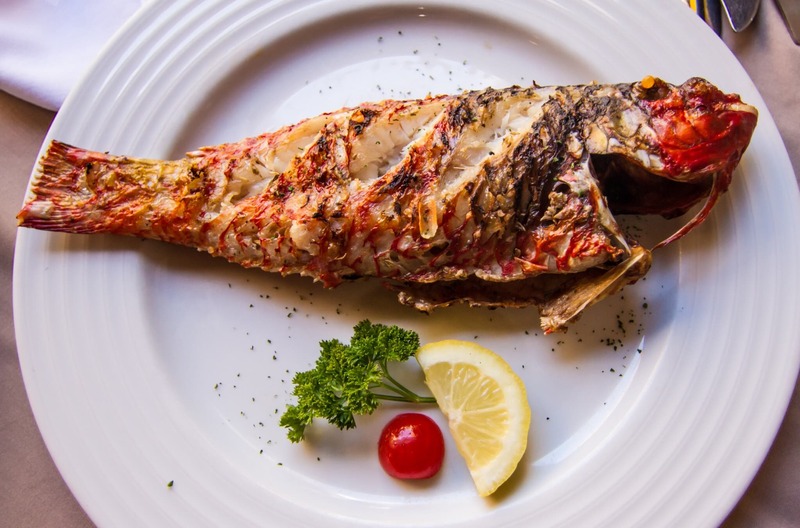 Sardinhas are a staple of Portuguese culture, and you will see them everywhere. Being both affordable and tasty, they can transform a quick meal into a feast, and the Portuguese usually eat them with a salad of peppers, tomato, onion, and lettuce topped with olive oil, salt, and vinegar. Sardines are so loved that in the summer, when sardines are most delicious and juicy, Lisbon throws a huge party where fresh sardines are grilled right on the streets and served with wine, roasted bell peppers, and boiled potatoes. The most popular Portuguese soup, Caldo Verde is consumed at the end of long nights-out or celebrations such as New Years’ Eve. The soup consists of potatoes, shredded kale, Portuguese smoked sausage or chorizo, onions, and local olive oil. It’s a highly nutritious, healthy, and tasty dish that you’ll definitely want to replicate at home, and it’s something that appears on Portuguese tables in every season. The egg custard tarts known as Pastel de Nata are the most famous culinary products of Portugal, and for the right reasons because they are extremely delicious. There are many historic pastry shops specialized in making the best Pastel de Nata, but the most famous is Pasteias de Belem, in Lisbon. Since each place adds a distinctive twist to the original recipe, it’s a good idea to sample tarts from multiple sources and find your favourite. 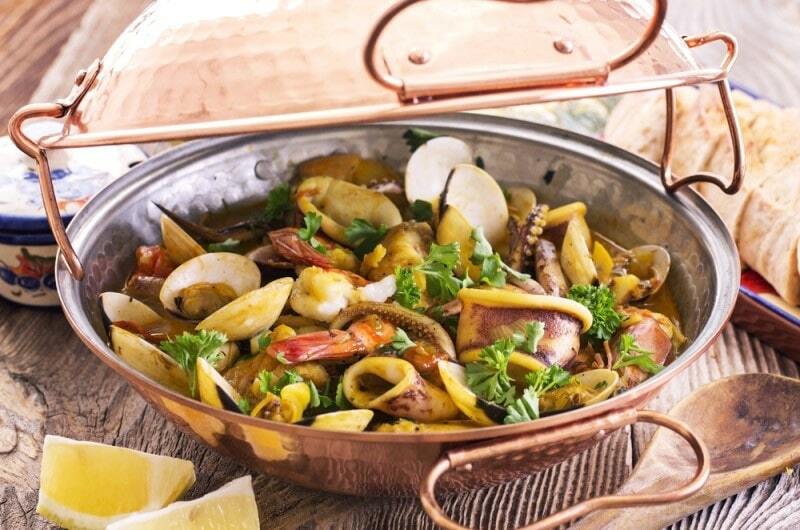 It’s no wonder that the Portuguese love seafood, and polvo is an extremely popular dish, popping up on menus all over the country. You can find it as an appetizer, in a salad, or in rice, either roasted or grilled. The polvo is roasted usually in a bed of onions, red bell peppers, and olive oil and served with roasted potatoes. You can even purchase canned polvo to prepare at home.